Bimota’s DB8 superbike may look the spitting image of the 160bhp Ducati 1098-engined 2008 DB7, but it’s different in three distinct ways. It’s powered by the bigger 170bhp Ducati 1198 superbike motor, it has a pillion perch and it’s cheaper, to the tune of £1700. The DB8 test bike we rode from their factory is easily the best Bimota we’ve ridden. The suspension is plush and controlled, the fuelling is spot-on, it’s devilishly fast, comes on sticky Dunlop D211 GP Racer tyres and thanks to its new twin seat layout and revised subframe, roomier for taller riders too. We’ve ridden exquisite-handling Bimotas and ones that handle so badly, you’d rather get off and walk. Fortunately, the DB8 we rode was set-up to perfection, offering plush ride quality for normal riding and lots of support and feel for when you turn the wick up. The only weak link is the brakes, which fade under hard use. 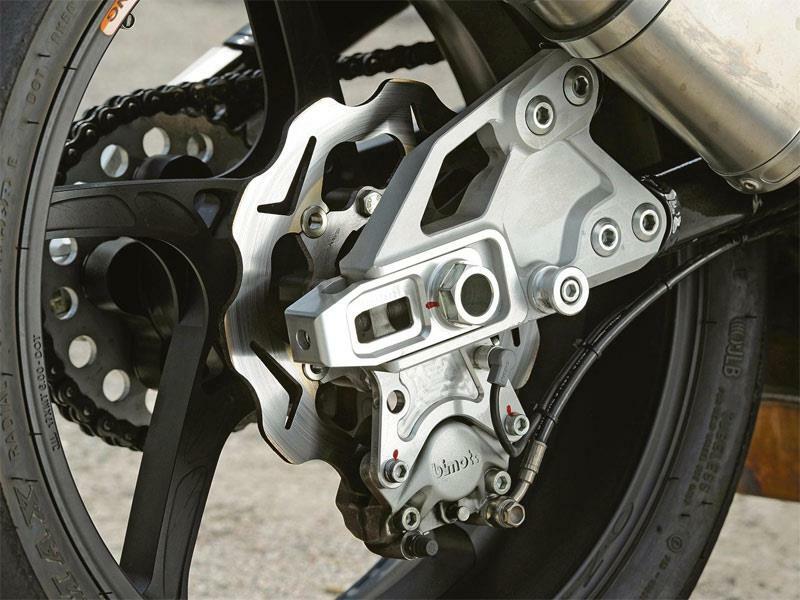 The radial Brembo four-piston calipers are excellent usually, so this must be down to brake pad compound. The DB8 is nice and roomy for tall riders compared to the single seat DB7, which vastly improves the usability from a Sunday morning toy to an everyday sportsbike. The DB8 is powered by Ducati’s magnificent 170bhp liquid-cooled 90° V-twin Testastretta 1198 engine, using Bimota’s own electronics. Twist the throttle and the power is smoothly delivered, instantly with no nasty hesitations or stutters. With just 189kg to push along fully-fuelled, acceleration is savage and the DB8 keeps pulling hard through the gears until the road runs out. This is a bone-fide superbike in every sense. The DB8 has a Ducati engine, so there should be no problem with reliability and There are now a number of officiall Bimota service points set-up at Ducati dealerships to take care of any potential problems. The build quality of a Bimota is never in question. Exotic motorcycles like these can never be worth the big bucks asking price in the cold light of day. The DB8 isn’t worth £9205 more than a Ducati, it just isn’t. 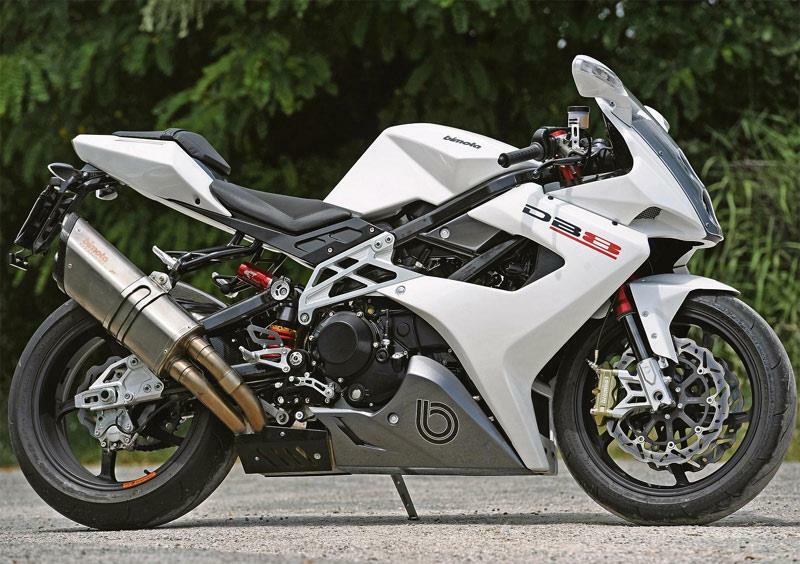 But if you think owning a hand-made, super-exclusive, fast, epic-handling, beautiful Italian motorcycle is worth paying the extra for, the Bimota DB8 won’t disappoint. Find a Bimota for sale. To achieve the lower price, Bimota have trimmed the spec of the DB8 slightly from the DB7, but you’re not exactly short changed. There’s still lots of lovely carbon fibre on show, high quality Marzocchi and Extreme Tech suspension components, Brembo brakes and swathes of perfectly milled, trademark Bimota billet aluminium pieces to dribble over. 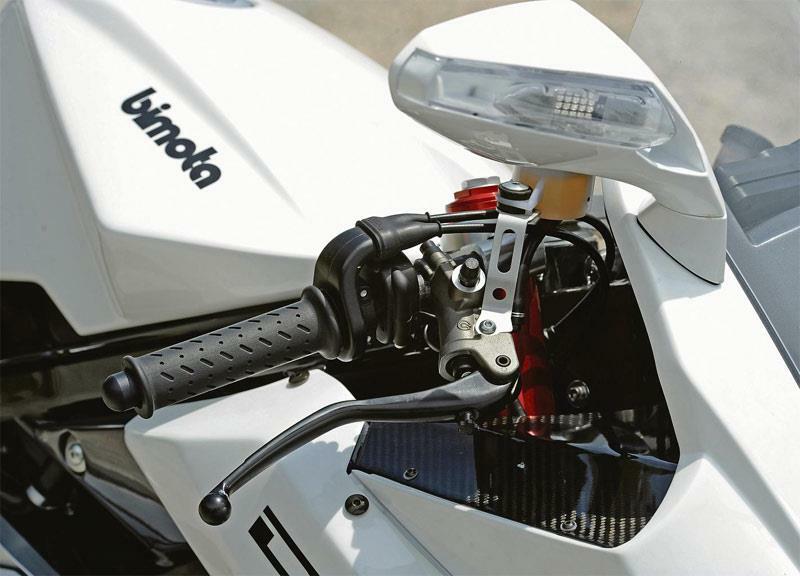 Compare and buy parts for the Bimota DB8 in the MCN Shop. 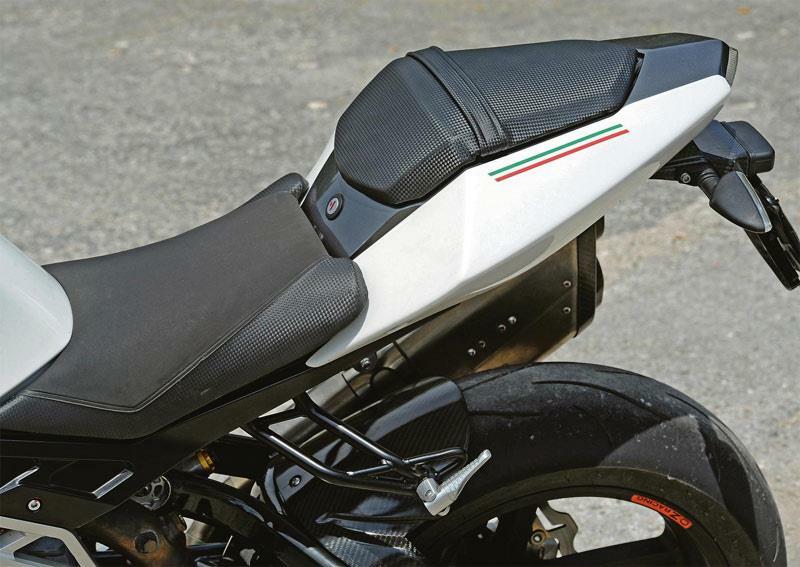 No owners have yet reviewed the BIMOTA DB8 (2010-on).